Working with theatre artists can be highly stimulating for a class. Bringing students together with theatre professionals can be a rewarding experience for students, teachers, and theatre artists. Professionals who work with students tend to do so because they enjoy engaging with and teaching those who are enthusiastic about and/or interested in the theatre. In the process, students and teachers have the opportunity to get a new perspective on a specific aspect of the theatre and/or a topic related to the curriculum. 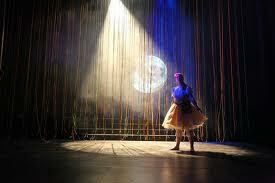 Theatre professionals can be utilized on the primary, secondary and college level. (Often colleges already employ professionals, however having students work with someone who offers a new perspective, different technique, or a unique methodology can help those students expand their understanding of the art of theatre.) Here are three ways that teachers can expose their students to theatre by utilizing theatre artists. Check on talk back availability. Talk backs are simple to do and are an interesting way for students to get insights into a production or an aspect of that production. Talk backs occur immediately after a performance and may involve actors, the director, designers, the stage manager, writers, or others. Theatre artists and/or technicians take to the stage and answer questions from the audience. Some talk backs are more structured than others. There may first be an introduction or those involved in the show may start the talk back by asking the audience questions. Along with being easy to arrange, as your students are already going to the show and so the logistics are in place, these forums can be especially revealing as those involved in the creation of and/or the performance provide their insights of and personal experiences with the particular production. Before booking a show for your class check and see if there are specific performances when talk backs are being offered or inquire as to if the opportunity exists to set one up. A workshop offers new experiences for learning. 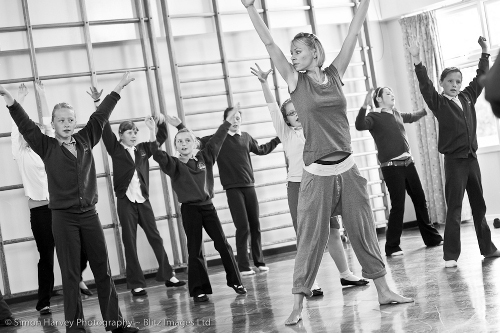 Workshops may be held at your school or off-site at a studio or theatre. These involve a theatre artist working with a certain number of students in an intensive session or sessions. A workshop session may be as short as an hour or as long as three or four. Sometimes workshops span a few days. In this type of setting, students are given the opportunity to work with a theatre professional in a hands-on manner. Movement, acting (including specific techniques), stage combat, playwriting, directing, and designing are a few of the areas that may be examined in a workshop. With a solid workshop experience students will gain insights, learn new techniques, and experience growth. Workshops tend to be fairly easy to coordinate. Residencies involve bringing a theatre artist or theatre artists into a school for an extended period of time. The minimum length for a residency is one week and they can last for many weeks. Some school residencies are six to 12 weeks long. The length of time depends on the goal of the residency, the budget for the residency, and the number of students being served. Entire productions can grow from artist residencies. Usually a residency does involve some sort of final performance by the students and it may also include a performance by the theatre artists. Residencies are more expensive than workshops and are also a lot more difficult to coordinate. However with the right theatre artist students can have amazing educational and artistic experiences discovering and revealing talents and potential that had been undeveloped and unnoticed. Utilizing theatre artists in an educational forum or setting can provide students and teachers with new energies, insights, and tools for learning and expressing themselves. Coordinating talk backs, workshops, and/or residencies with curriculum enriches understanding for all. Consider connecting your students with a theatre artist in order to supplement all of the wonderful learning experiences you already offer them.